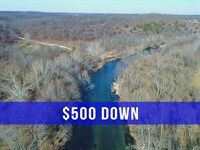 Stunning property with nice timber (large oaks as well as cedars) and about 900 feet of Direct Frontage on the Core Of Engineers "Take Line" at Bull Shoals Lake. 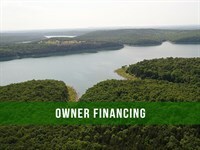 A large 4 acre tract at the very popular Bull Shoals Lake about 30 miles from Branson, Missouri. 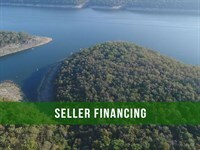 With about 900 feet of frontage on the "Take Line" at Bull Shoals Lake, you can walk directly from your property through the Core Of Engineers land right to the water. Fish from the shore and fry up your catch on your own campfire. This tract is basically level on the north side by the easement road and it slopes down gradually as you head south toward the lake. 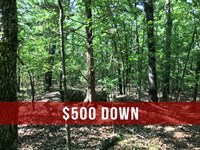 This 4 acre tract is located within a brand new, exclusive area called "Timber Shoals Ranch" on Bull Shoals Lake. 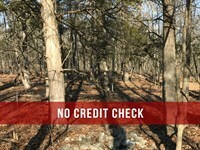 This tract is a sportsmans dream sitting on a private peninsula on Bull Shoals Lake. There is at least one access point on the south end of the large peninsula which encompasses Timber Shoals Ranch with frontage that gently rolls right to the waters edge for easy access for your boat or jet skis (there are probably more access points that have not yet been discovered). 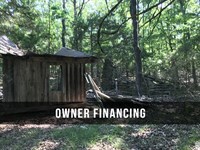 This stunning property provides outstanding whitetail deer hunting, turkey hunting and world class fishing. 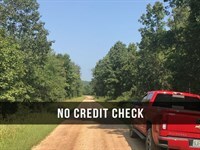 This tract is well-suited to an upscale homesite, a private and secluded cabin or just a place to come to camp and hunt for a few weeks out of the year. 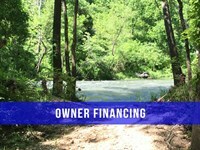 This tract has Property Covenants in place to protect your investment. Power and phone are at the north end of Timber Shoals Ranch. Utility easements are in place for the power/phone to be run to the property if/when you need them. Water would be by drilled well and sewer would be by septic tank or holding tank. We generally have cell service on much of the the peninsula. The wifi in our truck works in many spots on the peninsula as well. 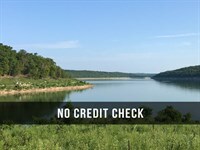 This property Directly borders the "Take Line" at Bull Shoals Lake on two sides. This area is renowned for its bass fishing, so much so that the B.A.S.S. Elite Series tournament was held right here in 2016. Huge walleye, catfish and many other types of fish can also be found in Bull Shoals Lake. You can fish this lake year around giving you unlimited fishing opportunities. 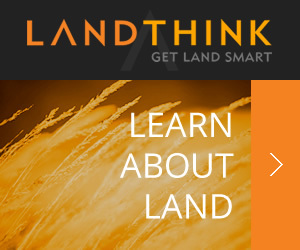 When calling agent, please say, "I found your listing $500 Down On 4 Acres At Lake on LOTFLIP."